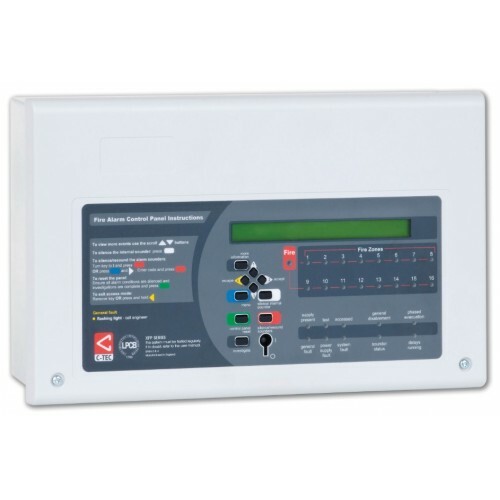 C-TEC’s XFP single loop 16 zone addressable fire alarm panel offers high performance at a very competitive price. 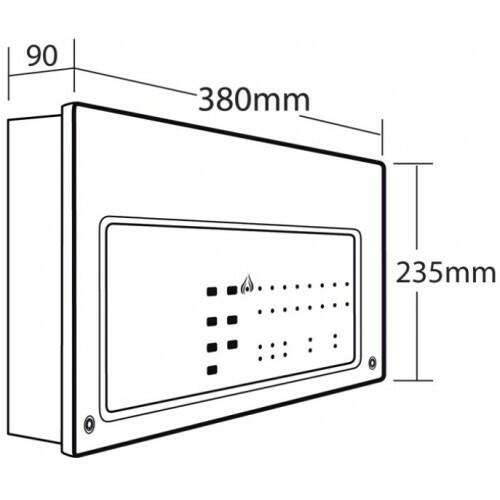 LPCB certified to EN54 parts 2 & 4, it is supplied in an attractive flush or surface mountable plastic enclosure, offers combined keypad or keyswitch entry to Access Levels 2 and 3 and is compatible with Apollo's XP95/Discovery protocol. Ideal for use in small stand-alone applications or in larger applications due to its ability to sit on network of up to 8 XFP master panels, it is one of Europe's best-selling entry-level addressable fire panels. Packed full of engineering features - some of which are not available on more expensive alternatives (see feature list below) - the XFP501E/X is also fully compatible with C-TEC’s Hush Button fire alarm solution and its new range of EN54 certified addressable sounders and VADs. Third-party certified to EN54-2/4 by the Loss Prevention Certification Board (LPCB). Compatibility with Apollo’s XP95/Discovery protocol. Two independently programmable conventional sounder circuits. A fault output relay and three programmable relay outputs with voltage free changeover contacts. A selection of zone dependency/coincidence functions. A day/night (building occupied/unoccupied) function. An investigation delay period function. An alarm counter that records how many times the panel has been in alarm state. Powerful short circuit protected loop drivers, capable of supporting up to 40 loop powered 10mA sounders per loop. An integral EN54-4/A2 switch mode power supply. Combined keypad / keyswitch entry to Access Levels 2 and 3. An intuitive Windows based upload-download PC program. Up to eight XFP main panels (any variant) can be connected onto a two-wire RS485 network. Alternatively, up to eight XFP repeaters can be connected to any non-networked main panel.